Home Politics Who will Gov. Doug Ducey name to fill John McCain’s vacant seat? Who will Gov. Doug Ducey name to fill John McCain’s vacant seat? 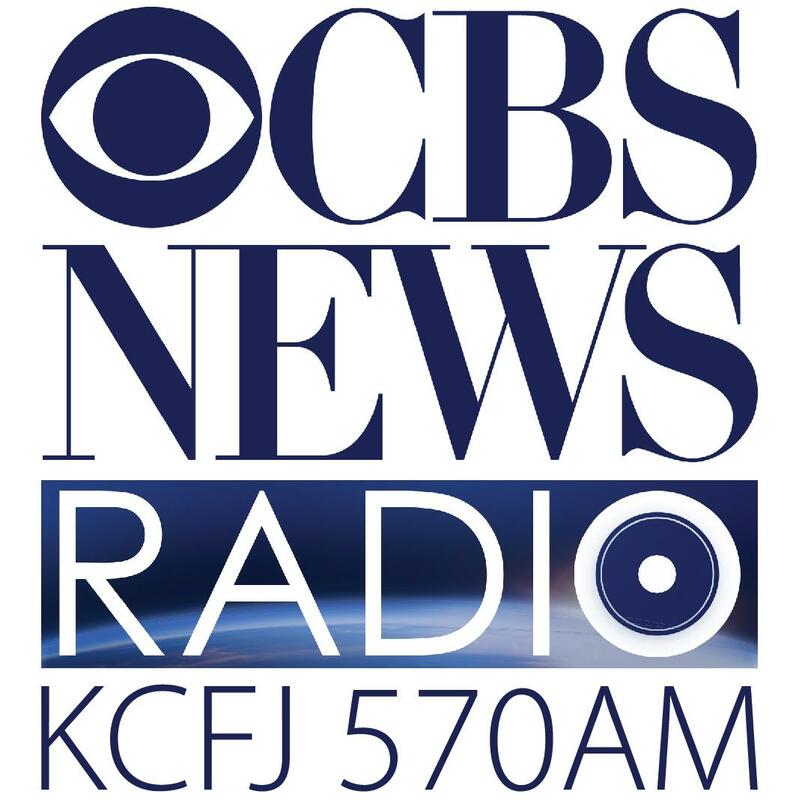 CBS/AP August 27, 2018, 10:58 AM Who will Gov. Doug Ducey name to fill John McCain's vacant seat? Arizona law requires only that Gov. Doug Ducey name a replacement who is a member of McCain's Republican Party and who will fill the seat until the next general election in 2020. The winner of that election will serve through the remainder of McCain's term, which ends in 2022. But in a state with a deeply divided Republican Party, where McCain was a towering but divisive figure, the choice is far more complicated. Ducey is balancing the demands of the many conservative Arizona Republicans who have soured on McCain due to his dovish immigration stance, criticism of President Donald Trump and vote against a rollback of President Barack Obama's health care law. They are wary of Ducey appointing a moderate. But naming someone with dramatically different views from McCain could be viewed as disrespectful to McCain's legacy, carrying its own risks. In either case, Ducey wants to set the party up to hold the seat two years from now, no easy task given the turmoil in his party. The decision is under close scrutiny in Washington. While McCain has been treated for cancer in Arizona and unable to vote in Washington, his party's already narrow Senate majority had shrunk from two votes to one. With the confirmation of Trump's Supreme Court nominee, Brett Kavanaugh, scheduled for next month the GOP needs every reliable vote it can get. Ducey's office has heard from Vice President Mike Pence's aides about the choice, a person familiar with the discussions said Sunday. The person was not authorized to discuss the matter and asked for anonymity. A day after McCain's death, political types from Arizona to Washington were buzzing with options. The senator's wife, Cindy McCain, was viewed as a possibility, as was former Sen. Jon Kyl and former McCain chief of staff, Grant Woods. Another group of former lawmakers and state officials were floated as middle-ground options — including Ducey's chief of staff Kirk Adams — who might not anger the right wing of the party. 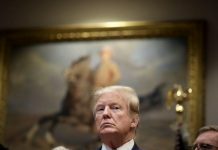 "If he picks someone too far left, we're going to have a primary in two years," said Constantine Querard, a conservative Republican strategist. Ducey himself faces a weak primary challenge from his right in the state's primary elections Tuesday. An aide to Ducey said in a statement to CBS News on Sunday that the governor would name a replacement after McCain is laid to rest. "Now is a time for remembering and honoring a consequential life well lived," said Daniel Ruiz, senior adviser for communications and policy strategy to Ducey. Doug Cole, a former McCain staffer and veteran Arizona strategist, said one of Ducey's key choices has to be whether he wants to name someone who wants the job for the long term. "Do I appoint a caretaker or do I appoint someone who will stand for election?" Cole asked. "Does he choose from the family?" Some observers predict the governor will be solicitous to the McCain family's wishes. 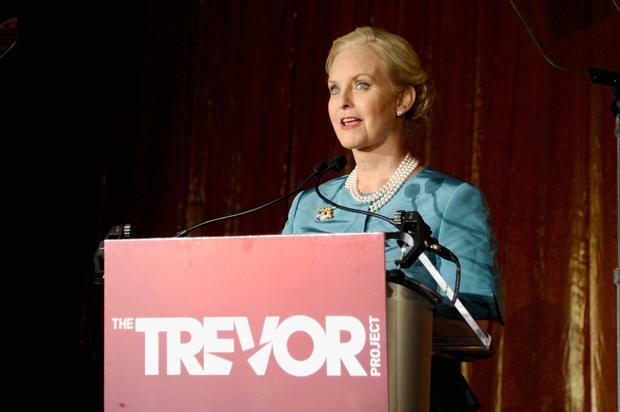 That's led to widespread speculation that Cindy McCain could be selected, likely under the assumption that she would not run for the seat in 2020. But Cindy McCain's politics are largely unknown. McCain would hardly be the first spouse to take over her husband's seat in Congress. After Rep. John Dingell, D-Michigan, retired after 58 years in the House in 2014, his wife Debbie Dingell ran for and won the seat. Dingell has successfully held the seat ever since. 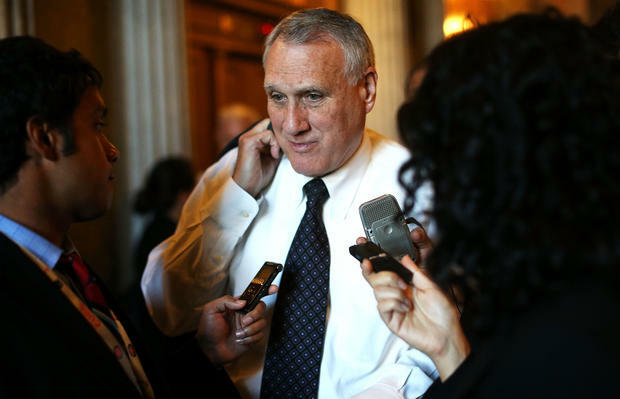 Another caretaker option would be Kyl, now a Washington lobbyist viewed as a safe, uncontroversial choice. But Kyl already is tasked with shepherding the Kavanaugh nomination and Republicans may be loath to upend that process. Kyl, a former member of Republican leadership, was Senator for Arizona for 18 years from 1995 to 2013. He served on the Senate Judiciary Committee during the confirmations of 4 of the last 5 justices who have joined the Supreme Court. Barrett Marson, a Republican strategist in Phoenix, said that if Ducey opts for someone with long-term designs on the seat, "he has to pick someone who can galvanize voters in 2020." Woods, a former Arizona attorney general and McCain aide, is another possibility. But he is known for sharing McCain's stances on immigration, which could be anathema to the state's conservative voters. 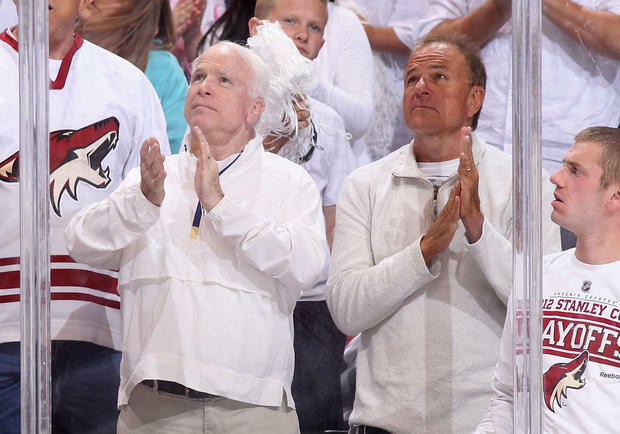 GLENDALE, AZ – APRIL 29: (L-R) Senator John McCain and former Arizona Attorney General Grant Woods attend Game Two of the Western Conference Semifinals between the Nashville Predators and the Phoenix Coyotes during the 2012 NHL Stanley Cup Playoffs at Jobing.com Arena on April 29, 2012 in Glendale, Arizona. The Coyotes defeated the Predators 5-3. Arizona operatives speculate that one of two former congressmen from the state, John Shadegg and Matt Salmon, could fill the seat. They're both GOP stalwarts who don't have a history of feuding with the base, as is Adams, Ducey's top aide and a onetime speaker of the Arizona House of Representatives. State Treasurer Eileen Klein could also be a strong candidate in 2020 if Ducey wants to pick someone who'd run for election rather than a caretaker, according to Republican operatives. The person who was previously seen as McCain's most likely successor is Arizona Rep. Martha McSally. Like the late senator, she's a former fighter pilot — one of the first women to fly in combat and an air force colonel. But she is running for the Senate seat vacated by Sen. Jeff Flake, who, like McCain, outraged the state's conservative base for bucking Trump on immigration and other issues. Like Ducey, McSally faces a primary on Tuesday, but her challenge from the right has been stiffer than the governor's. It's also illustrated how fraught the McCain issue is for Arizona Republicans. In a sign of how hostile many GOP primary voters are to the state's late senior senator, earlier this month McSally had avoided mentioning McCain's name while boasting that she'd been with Trump at the signing of the defense bill named in McCain's honor. McCain supporters and the senator's daughter Meghan lacerated McSally for following the president's lead in not mentioning McCain. McSally said she didn't intend to snub McCain and went on to praise him.